My video card was dying. I would start up a graphics intensive game, and seconds later I would experience a full system crash. Looking through all the trackers at my disposal, the common thread was the failure of the video card drivers. I mean, that’s where most crashes come from, simply the miscommunication between the software and the hardware. Driver refreshes weren’t working, either. The card itself was physically dying. But I still wasn’t absolutely sold on the video card, as the card failing could’ve been a cascade from the motherboard to the processor, both of which are getting up in age at this point. So, I needed a program that would be intensive on the processor, but not on the video card to really test it out. Lord of the Rings Online immediately popped to mind. It’s not like LotRO is a visually unappealing game, it very much is, but the game’s architecture relies more on your processing power. Sure enough, where Elder Scrolls Online or Secret World Legends would crash within seconds, Lord of the Rings Online stayed up. Yup, it was definitely the video card. Which is fine. The fix ended up needing a new card, a new system case, and a new power supply, so while I was waiting to get all that together, I had LotRO. Oh hey! I remember these fellas! Early September, the Summer event was in mid-swing. I had a Dwarven Rune-keeper in the mid-30’s (my highest level to date that I started in April of 2017), and my long-time spreadsheet had the information I needed on the character to quickly pick up right where I left off. My want for this character, though, was to play through all of the main story and finally to get the whole LotRO experience (without the grouping and raids, of course, because that’s how I roll). 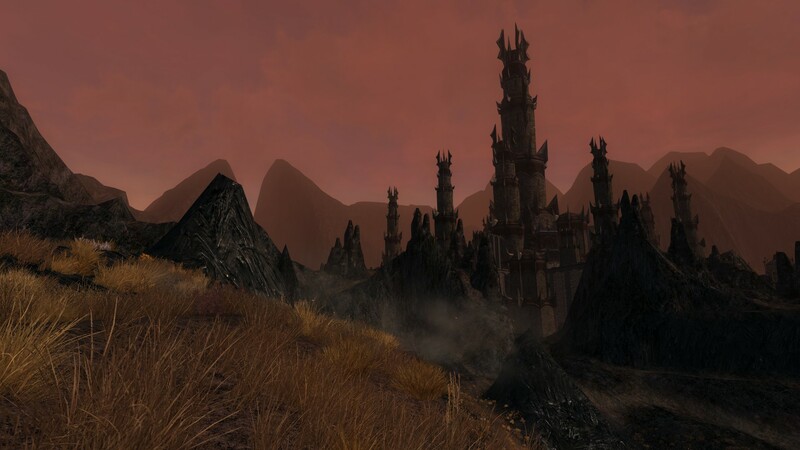 I finished up the Lone-Lands (ugh), and then headed up to Evendim. But it quickly dawned on me that Evendim was not part of the original game. 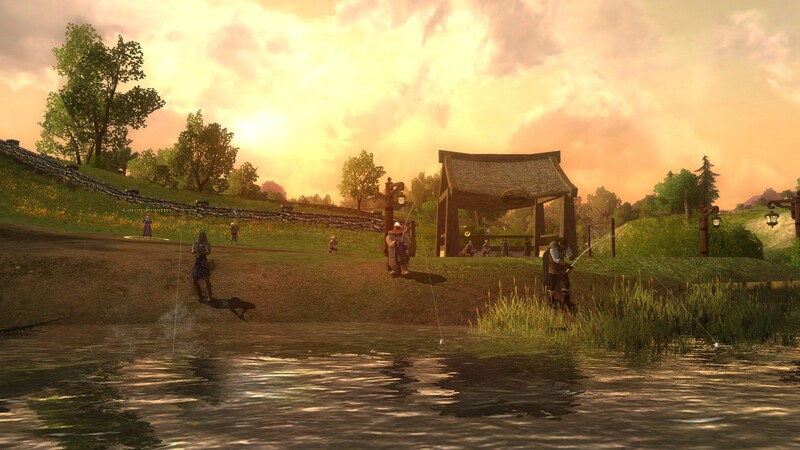 It was an expansion added well after launch, and to get the LotRO experience, that would take completing zones and content in order. Tricky to find, but I found this list of Patch updates. Switching to the Trollshaws, my philosophy was simple: Complete as many quests in a new zone as possible before moving on (skipping fellowship quests), complete any story in the zone, complete Deeds that would help my Rune-keeper’s primary traits (wisdom, loyalty, idealism, confidence, and empathy), keep up with crafting, complete Faction Reputations in the zone, and to not over-level a zone using the Stone of the Tortoise, a pocket item that would cancel experience gains. Tortoise is apt, as every time I told my plan to others, they mostly digitally shook their heads wondering why I just wasn’t rushing to end game. That’s just not my style. Not too many quests take place in these towers, but man are they a nice set-piece to screenshot. From the Trollshaws to the Misty Mountains, then on to Angmar, I was making slow progress. Then, at 51 (I gave myself a one level buffer for harder quests), I stopped experience entirely. From Angmar, then started the second half story of Volume 1. Through the icy wastes of Forochel and finally on to Eregion. Finally, just last night I completed Eregion, finished the Prelude Volume 2: Book 1 quests, picked up my first Legendary Item, and stepped through Durin’s Gate and into Moria for the first time. Armed with my traits in the 8-9 range, a couple goat steeds, and a brand new Legendary Item (oddly worse than the weapon I currently have), I’m ready to put my Tortoise Stone aside and start leveling to 60. Where do these stairs go? They go… up? Since Moria launched in February of 2009 I’m only, what, 10 years behind? I’m cool with that. 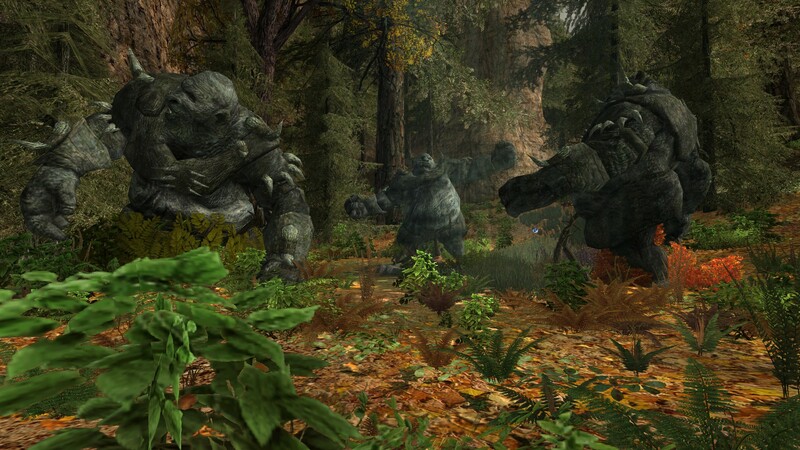 This entry was posted in Game Journal, Lord of the Rings Online and tagged Angmar, Eregion, Game Journal, Legendary Items, Lord of the Rings Online, LotRO, Moria, slowpoke, Stone of the Tortoise, Trollshaws by Ocho. Bookmark the permalink. I’ve only been playing about 16 months and during that time I spent most of it just doing quests all over Eriador. 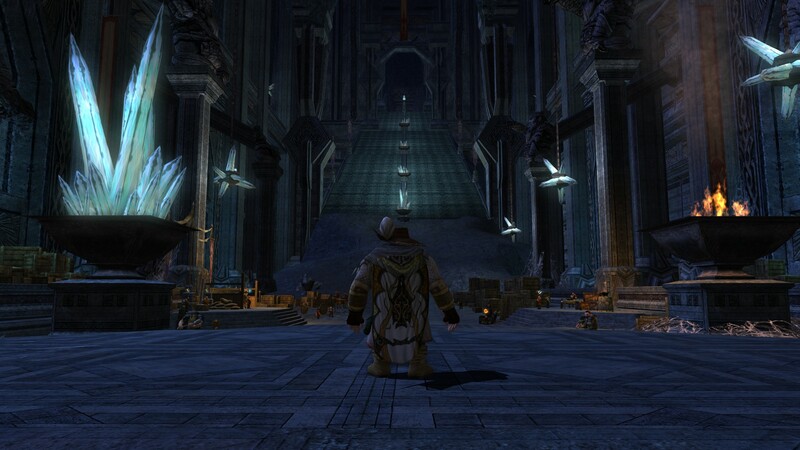 By the time I completed the requirements to enter Moria I was level 66. I’m still enjoying Moria (despite being over-leveled) and other than falling to my doom (three times so far..including the well) it’s been fun learning the “legendary” stuff. I feel that when I enter Moria with my Anor character it will be a bit more fun since that one isn’t over-leveled (capped at 50). I still need to finish all the Eregion quests and requirements for Moria…so…in the next few weeks I’ll get that done. So…does everyone just jump in the well to get “Well Traveled”?